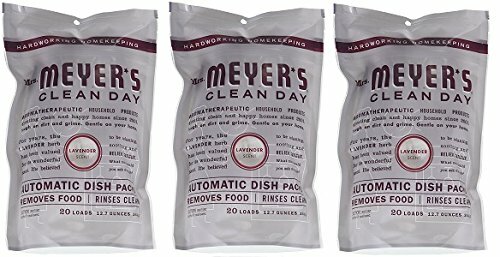 Mrs. Meyer's Clean Day Automatic Dishwasher Soap Packets help your dishwasher produce sparkling dishes, glasses and flatware. Each pack of oxygen bleach formula loads easily in the dishwasher's soap cup and is safe for use in all machines. Clean coffee stains from cups without phosphates or chlorine. Safe to use when washing china, provided your china does not have a gilded metal on it.